They’re up. They’re down. Heating fuel prices change from day to day – as do your customers’ minds. That’s why there’s PricePoint. 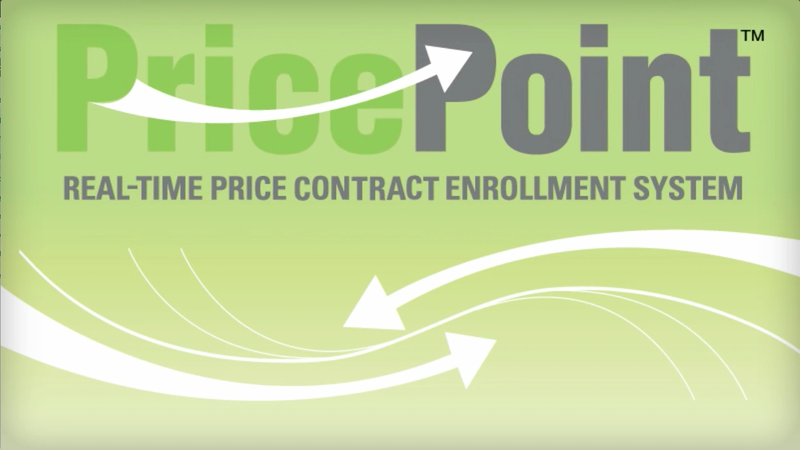 PricePoint was developed specifically for the home comfort industry, to help you complete price protection enrollments more quickly, effectively and profitably. With PricePoint, you can offer custom price protection programs including tiered pricing levels, local discounts and customer accommodations. PricePoint’s pricing expiration feature protects you against price spikes and promotes quicker customer response. Price protection programs have been a thorn in the side of many fuel dealers, but you can make them more manageable and customer-friendly while reducing your costs and eliminating hassles – all by enabling customers to enroll online through your website. PricePoint puts you in control of your price protection agreements, while offering your customers the convenience of reviewing and enrolling directly from their computers. PricePoint lets you distribute and complete your price protection plans more quickly and see better returns.